I love pastel nail polish shades and often wear them if I’m wearing a cute tea dress and cardigan! 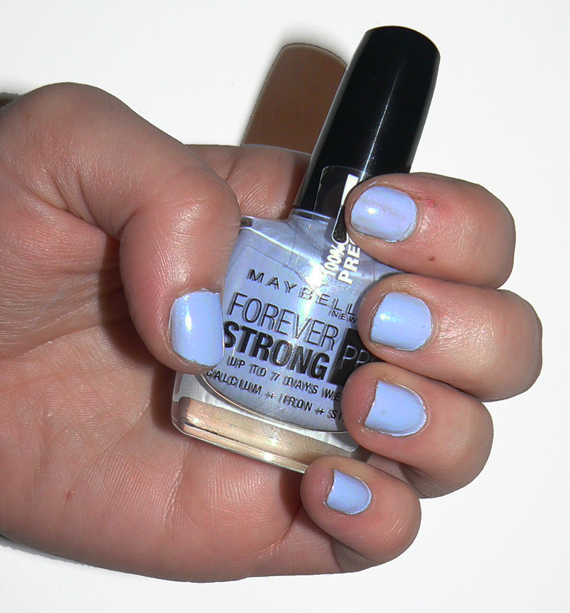 I found this gorgeous pale blue in a poundland! but if there aren’t any available in your local poundland I’ve linked an ebay shop that still has them at a great price. The colour has a hint of lilac to it and has a good, strong colour after applying 2 coats. Its lasted well and dries quickly. The nail polish brush offers precision application and is meant to last up to 7 days, lets hope it lasts! Next Post Ebay winter wishlist – winter warmers!